As you’re reading this, you’re either puzzled by the lack of a .8 behind the aperture spec, or you weren’t paying much attention. Ladies and gentleman, this is the world’s first full frame zoom lens brighter than the all mighty f/2.8.It’s kind of a big deal. Sigma has been showing the world that it’s up to big things for quite a while. A few years ago, buying a Sigma lens simply meant choosing a low budget, lower quality lens that would leave you feeling the huge gap between your lens and a “premium” one. But with the introduction of its Art lineup, Sigma has proven that it has matured into a company that will no longer be regarded as a third party solution provider and that its lenses can actually be a first choice when money is no issue. With that said, upon a closer look at this impressive zoom lens you can feel the familiarity of the Art family. The 24-35mm f/2 feels like a high end product. The mix between matte and gloss, the overall small size and the smoothness of the rings make it a pleasure to use. It is a giant leap forward from older Sigma designs and you can’t help loving it. One thing that has to be mentioned though is that this lens is not weather sealed, so caution is advised in less than favorable weather conditions. Without doubt, the most attractive feature of this full frame zoom is the unmatched maximum aperture. It’s the fastest zoom lens currently on the market and it really gives the photographer the ability to shoot handheld in low lighting conditions. Put this thing on a modern DSLR and you get a fantastic combo with performance that could previously be achieved only by using primes. The choice of focal range is interesting to say the least. It’s definitely an attractive lens for photographers who use wide angles a lot. It’s an absolute gem for wedding and landscape photographers but documentary style shooters will also find it very useful. However, the 35mm long end makes it a lot more versatile. It offers a very natural perspective that lets you capture the bigger picture but it does so without crippling your ability to shoot portraits. Autofocusing used to be one of Sigma’s weakest spots. With this Art lens though, autofocusing is fast enough for most situations that require this focal range. It’s accurate, silent and it supports manual override. But how are things when it comes down to what really matters? Most ultra-wide angle lenses lose sharpness and detail when used at maximum aperture. Not surprisingly, the 24-35mm Art is no exception. Things are a little bit soft when you shoot it at f/2, but it’s really nothing that’s going to break the deal. There is however significant difference in detail when you shoot with it at f/2.2. In fact, it’s big enough to make you want to use that extra stop only in emergency cases. Sharpness in corners is a little different from the center at f/2, but again, as soon as you switch it to f/2.2 things change dramatically. Bottom line, you don’t need lab tests to realize that if you put this lens on camera like the Canon 5DsR you’re going to get an incredible combo that will give you top notch image quality in good lighting conditions as well as in dark areas. 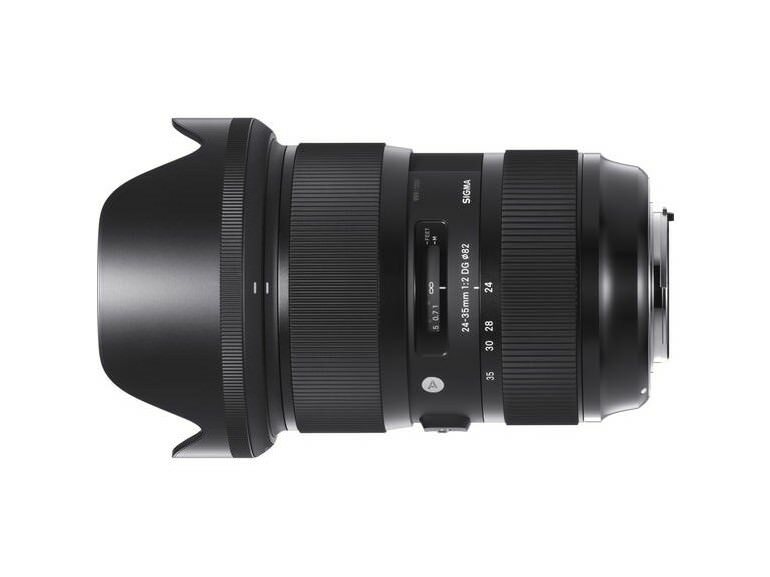 Click here for the full specs of the Sigma 24-35mm F/2 HSM Art lens.